Home / Client Authored / Visit Us at Newcastle Days! Visit Us at Newcastle Days! The yearly Newcastle Days event is fast approaching! Newcastle is just south. This smaller community has a great park where the event is held, Lake Boren Park. Each September, this festival offers booths, kids’ activities, a car and truck show, live bands, a theatre production of Broadway hits, a playground and delicious foods, including some kettle corn you shouldn’t miss. 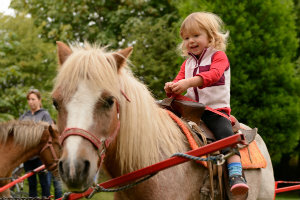 There are even a petting zoo and pony rides that our kids were very excited about last year! Cummins Chiropractic participates by having our own booth at Newcastle Days. We offer some great complimentary services to anyone who wants to stop by. You can get a free spine check and posture analysis. Through these checks, we can let you know if there seems to be any problems that we feel chiropractic may be beneficial for. In addition to these checks, we offer complimentary chair massages that are wonderful after a day of walking around. Let us help you to relax and recharge after a fun day with the family! Newcastle Days are held on Friday, September 11, and Saturday, September 12. Check out their website for the full schedule of events. Our office will have a booth on September 12. We hope to see you there!